The biggest beauty sale of the year is here, Ulta’s 21 Days of Beauty. From March 19, 2017 to April 8, 2017, you can buy daily beauty steals from all your favorite brands. Monday, April 3, 2017 is Mally Beauty’s steal day and they are offering 50% off of Mally Beauty’s Effortlessly Airbrushed Blush & Highlighter. Mally Beauty’s Effortlessly Airbrushed Blush & Highlighter ($35) is the perfect addition to your makeup collection, featuring a formula that creates a luminous, flawless and airbrushed look instantly. The product provides the right amount of color to create flushed cheeks, while the golden highlighter delivers a radiant glow in seconds. This beauty duo is essential to creating that #nofilter look. So pretty! 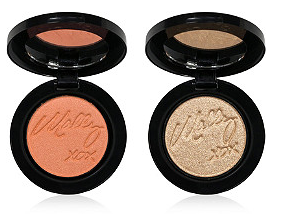 I can't wait to get my hands on this beautiful cheeky duo! Off to Ulta I go!